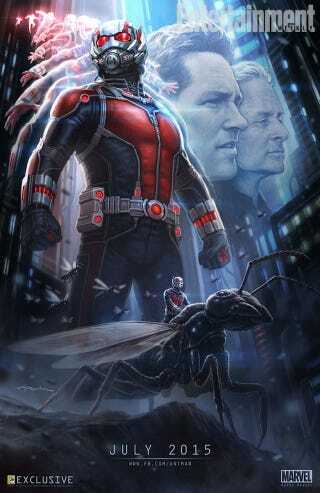 At Last, an Official Ant-Man Movie Poster! It's weird to see Paul Rudd looking all noble like that, but the suit is great. And the ant steed is perfect. This is Marvel's teaser poster for the long-awaited Ant-Man movie, released today at Comic-Con, and featured on Entertainment Weekly.